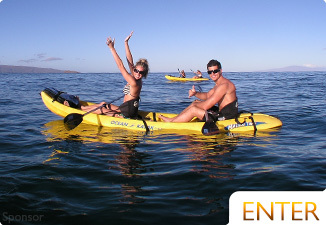 Where to Snorkel in Maui? 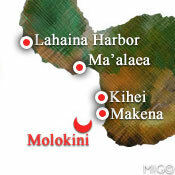 The best Top 10 Maui snorkel spots with maps & photos. 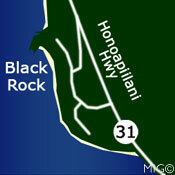 Black Rock is the large rock hill at the north end of Ka'anapali Beach. This is a great spot because of the easy access and protection that the rocky cliffs often give from northerly swell activity. 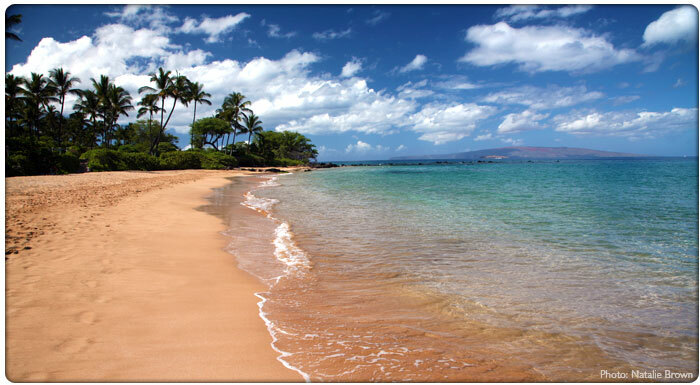 Kaanapali beach has many high-end resorts along the beach, so walking to Black Rock is easy from here. 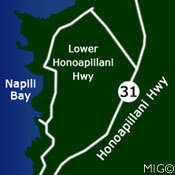 Otherwise, you can drive along the Honoapi'ilani Highway (30) and turn on Kaanapali Parkway or Kekae Dr towards the ocean. When snorkeling, make sure to stay clear of cliff divers. Also, each night, a Hawaiian torch lighting ceremony occurs where tiki torches are lit along the coastline and all the way up to the top of Black Rock. It ends with the torch lighters jumping into the ocean. A lot of fun to watch. One of the furthest southern spots you can visit on the island of Maui, La Perouse's volcanic landscape is something from another world. 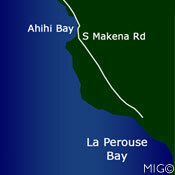 As you drive south on Makena Road, you'll pass the last houses then drive for miles through a very-rugged lava field. When you get to the end of the road, you'll find a dirt parking lot with a rocky bay. This bay has some amazing ocean life, and it's known to be the site where a pod of spinner dolphins likes to spend time. If you see the dolphins, give them space and keep your distance. Do everything you can to not affect their normal swimming route. Also, take care when entering and exiting the ocean here. The rocks are sharp, and during the summer there might be south swells making the water rougher than normal. Coral Gardens is the name given to the area along the cliffs of the Pali. 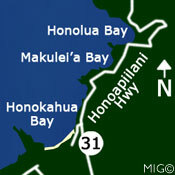 The Pali is the area along the coastline from Ukumehame and Papalaua to Maalaea. There are many great spots to snorkel here, but they're often impossible to access by car or foot. The cliffs are incredibly steep and unstable, which is great for keeping wind and crowds down but not so good for accessing. 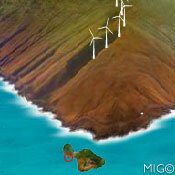 This is why you'll sometimes see snorkel boats here when the wind is up at Molokini Crater. You'll also find that some snorkel charters refer to these areas as Turtle Town. They may be right. 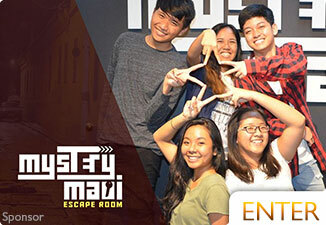 See #8 on what we think of Turtle Town. 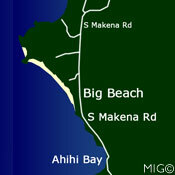 Just past the last entrances of Big Beach (Makena Beach) is a little cove called Ahihi Bay. It's the last little Bay before the last houses (Sugarman's Estate) when driving south. If you keep driving, you'll see lava fields and you'll know you've gone too far. There's just a few spots for parking, and it often has at least a few people there. When you enter the water, make sure you do so only at the northern end where there's a little bit of sand. You'll feel a concrete slab under the water at the very entrance. Any other area of access is forbidden and dangerous for you and the reef. 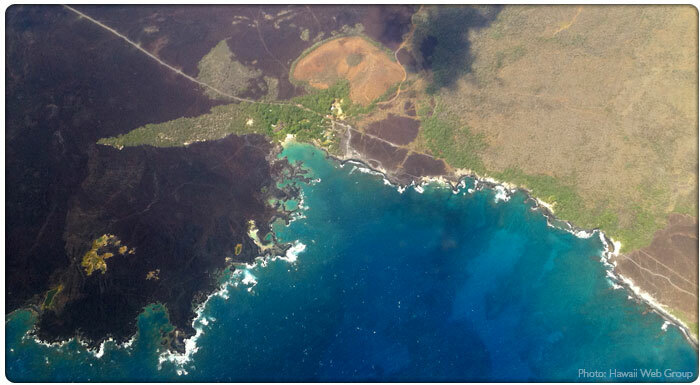 Ahihi Bay is part of the protected Ahihi Hinau Natural Area Reserve, which protects the ocean life from fishing. This being said, there's a lot of fish and vibrant coral reef here. 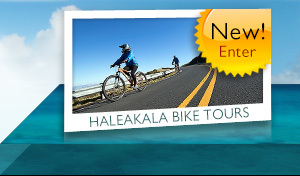 Kapalua Bay has a public parking lot off of the Lower Honoapi'ilani Highway. It's often crowded, but the snorkeling in the bay is great. Just south of Kapalua Bay is the Napili area, which has all kinds of nooks and crannies to explore. 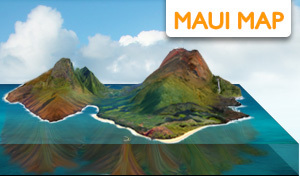 Parking isn't all that easy to find, but there is a little bit of parking near Napili Bay. Both sides of the bay have great snorkeling and lots of turtles. Occasionally, you'll see a monk seal on the beach (keep your distance.) 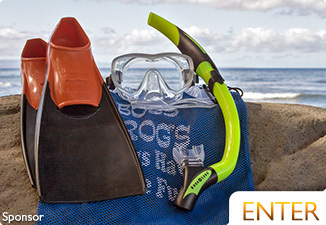 If you're adventurous, you can snorkel south to Honokeana Bay, which has similar snorkeling. It's a fun spot to snorkel, but access is very dangerous due to the rocky/cliff entry. It's also problematic when there's any swell since this is where the surf spot "Hole in the Head" is. Yes, that's the name of the spot. And yes, we can attest to the accuracy of the name from experience. Not fun. 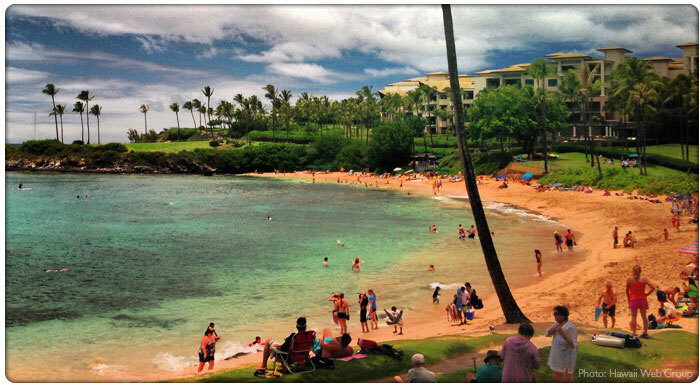 Napili Bay and Kapalua Bay offer far better protection from surf. The infamous and controversial Turtle Town's location is widely contested. After having heard dozens of captains claiming 20-30 different spots as the official Turtle Town, we can only come to the conclusion that Turtle Town is where ever a lot of turtles have been seen recently. It's very difficult to know where Turtle Town is right now, unless you are a captain that's been searching for them in the last few days. 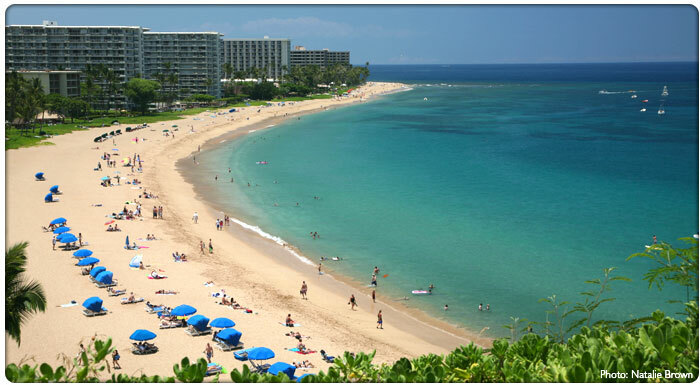 The most widely agreed upon spot is in front of the Makena Beach & Golf Resort. We agree that you can find turtles there, but to be honest, we see turtles almost every time we get in the water anywhere around Maui. The 2nd reef at Ulua/Mokapu has a Hawaiian sea turtle cleaning station, so that's a viable spot to see them as well. Often used as the training ground for new scuba divers by the scuba schools, we find this area is great for seeing ocean life along the reefs with an easy beach entry. 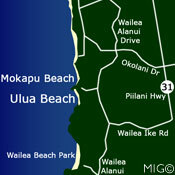 The next beaches north of Wailea beach and south of Keawakapu beach are 2 connected beaches: Ulua Beach and Mokapu Beach. 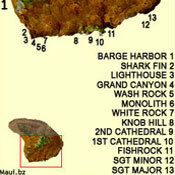 A rocky reef formation separates the 2 beaches. Along this reef can be found all kinds of coral and ocean life. If you're adventurous and have the ability to snorkel at depths, about 30 feet down you'll find a turtle cleaning station along the second reef. When water clarity is high, you can see it from the surface. 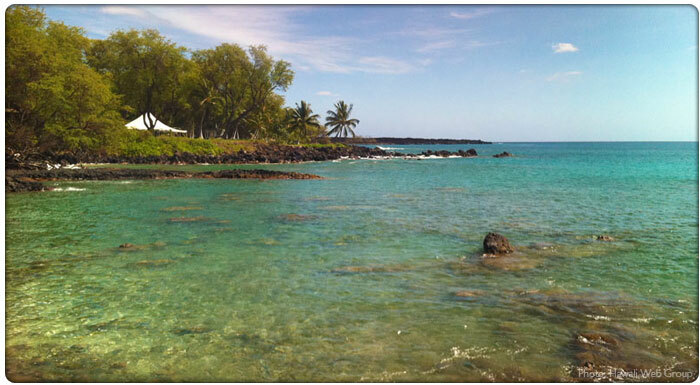 There are numerous great, uncrowded spots to snorkel along the coast of Lana'i Island. 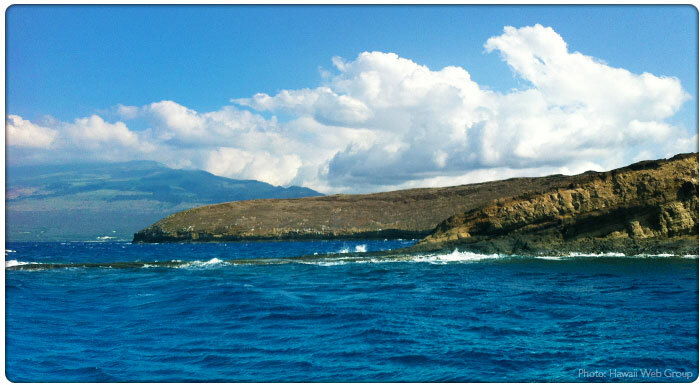 You need to either take a ferry to Lanai, or take a snorkel boat to the island. 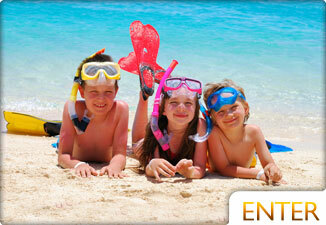 It's best known for scuba diving, but there snorkeling is unique for many reasons. Reports seeing hundreds of dolphins while snorkeling on a very regular basis are common. 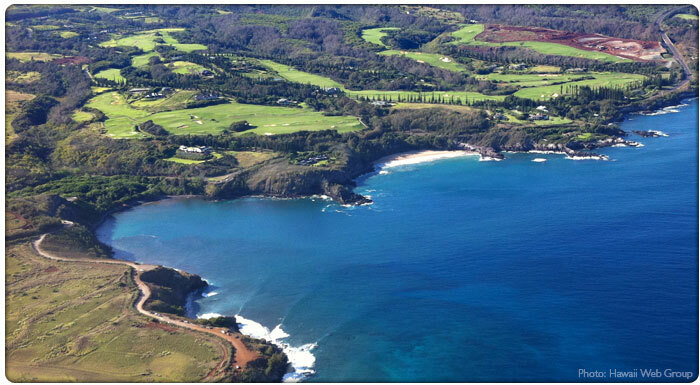 There's a large community of spinner dolphins that inhabit the shores of Lana'i. 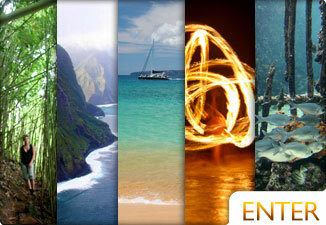 learn more about scuba diving Lanai Island. 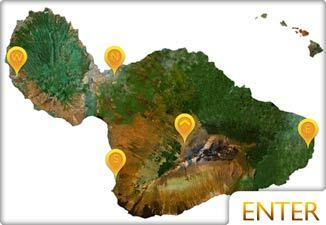 Find the best spots to snorkel along the coasts of Maui with these maps. 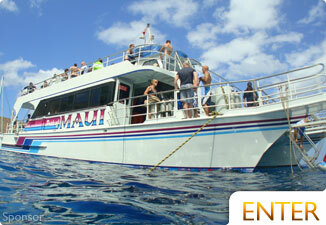 See some of the best vessels and different trips in Maui waters.